Dollywood’s new coaster “Lightning Rod” is the world’s fastest wooden coaster according to Dollywood. Lightening Rod has a drop of 165 feet and is almost a mile long. 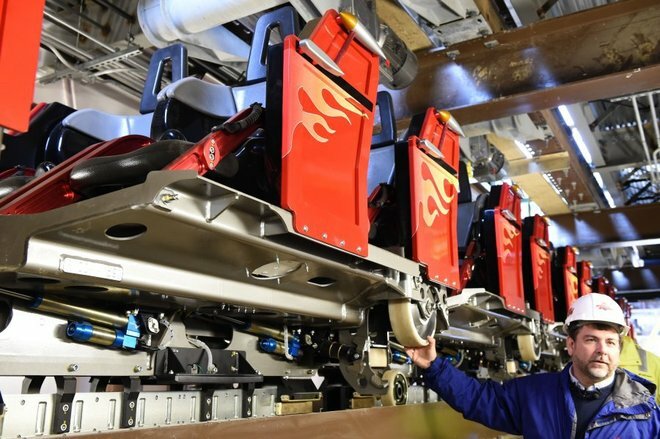 Instead of a chain-lift mechanism for launching , Lightning Rod will use linear synchronous motors to propel cars up the first hill at 45 mph. This entry was posted in Coasters and tagged Dollywood Coaster, Lightning Rod Coaster. Bookmark the permalink.